If there's one thing I know for sure, it's that Southern weddings are awesome. And this gorgeous wedding? Yeah, this one definitely swept me off my feet. In, oh you know, 2.5 seconds. Seriously, guys. That's all it took! And lucky for us Watson-Studios was there to capture each and every pretty second of it! From the bride...“Peach and I met in the spring of 2005 at the University of Tennessee. From the moment I met him, I couldn’t get enough. His contagious personality won me over immediately and I couldn’t wait for the next time we could be together. We spent the next six and a half years falling in love, dancing the nights away and growing into two individuals truly meant to be together for a lifetime. Our venue truly allowed us to create a one-of-a-kind wedding experience. We were married on the golf course with the Smoky Mountains behind us. We transformed the clubhouse and outdoors into a shabby chic meets French country getaway. And although the reception was held under a tent to help keep our guests comfortable, we also set up several “lounge areas” to provide a charming and relaxing feel. 12 Comments " Real Wedding | Caroline and Adam "
such a gorgeous wedding and colour scheme! Gorgeous! I love the lounge area! In love with everything about this wedding, from the tent to the bridesmaids dresses and not to mention the lounge area! Adore this beautiful weddings! We're so grateful to have our Plum Pretty Sugar floral bridesmaid robes as part of this special day. So many sweet congratulations! Wow, absolutely gorgeous - so many details to adore!! It's like an inspiration board come to life - love the dusty shale dresses, Plum Pretty Sugar robes, and that sweet little cake topper. What an amazing seating area. I see why you fell in love! 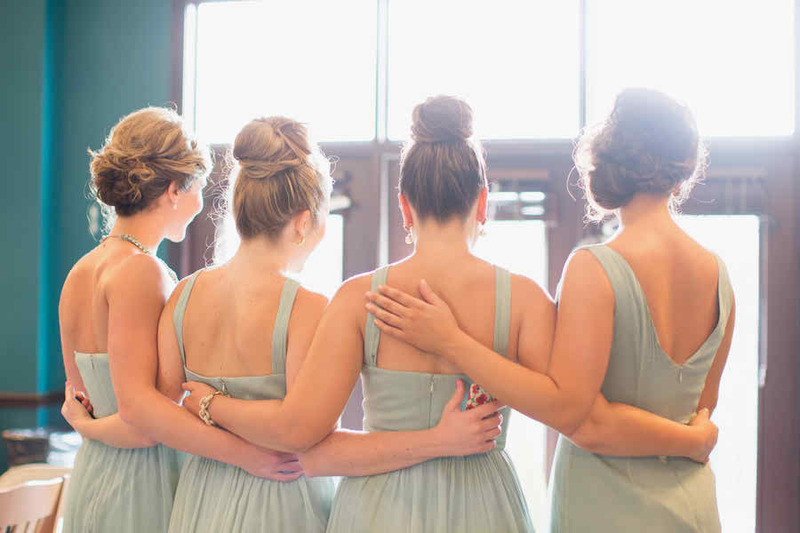 Love the sweet color palette and those adorable bridesmaid dresses! Lovely colors and such pretty details. So much to love in this wedding. The bridesmaid dresses are amazing! I love the lounge area too!